From 1 December 2012, the Independent Safeguarding Authority (ISA) and the Criminal Records Bureau (CRB) merged to form a new organisation, the Disclosure and Barring Service (DBS). Through its criminal record checking and barring functions, the primary role of the DBS is to help employers to make safer recruitment decisions and prevent unsuitable people from working with vulnerable groups, including children. Archery GB is committed to ensuring that all its members enjoy Archery in a safe and enjoyable environment. All people who are aged 16 and over who are involved in regulated activity (see flow diagram below) are required by law to have DBS disclosure. DBS applications from the volunteer workforce are free of charge. However, applicants who are paid (excluding out of pocket expenses) will need to pay a fee (currently, £53.60). 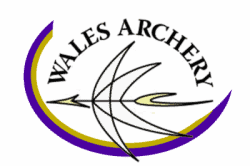 Archery GB require payment via BACS or cheque in advance of the application being processed. Having a criminal record does not automatically prohibit an individual from undertaking a role working within our clubs. All DBS disclosures are handled confidentially, with every case treated on its own merit. Due to the difficulty ensuring that original DBS certificates are assessed by appropriate individuals and that confidential personal information is not shared or lost inadvertently or unnecessarily, Archery GB has decided that it will not accept DBS Certificates processed by other organisations. 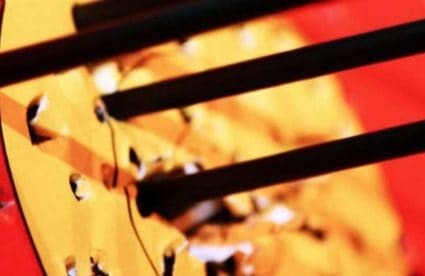 Having listened to feedback, Archery GB has decided it would not be acceptable to expect Club Committee Members to take on this additional responsibility. The club committee are best placed to assess whether an Individual’s role meets the criteria for “regulated activity” To assist them with this please download the flow chart below. The DBS offers a confidential checking process to protect the privacy of applicants who have undergone gender reassignment. This process provides applicants with the opportunity not to reveal their previous name(s) and/or gender to their employer, or other organisation, when applying for a DBS check. The DBS is fully committed to promoting equality and eliminating discrimination on grounds of gender identity and this process ensures that a transgender person’s application is dealt with sensitively and without the need to disclose previous names to the employer, whilst maintaining the integrity of the DBS service. The DBS provides a designated point of contact for transgender applicants, dedicating a small resource to deal with any queries that are raised, and provides help and support throughout the process. They are also solely responsible for contacting the applicant if further information is required. If an applicant has a conviction under their previous details, it will show on a completed check. If a certificate is going to show any personal details that the applicant may not wish to disclose, the applicant will be informed of this and they will have the opportunity to withdraw the application.